Ducks on the wall - Getting where? You best make way for ducklings. So, ten whole years ago when I was on my first backpacking adventure, I saw this poster in the hostel in Copenhagen and absolutely loved it. Of course I did. Because: DUCKS! For years it was one of the things I always wanted to find for my own wall. And 2 or 3 Christmases ago, I went a-Googling and found it online from an actual Danish poster shop. 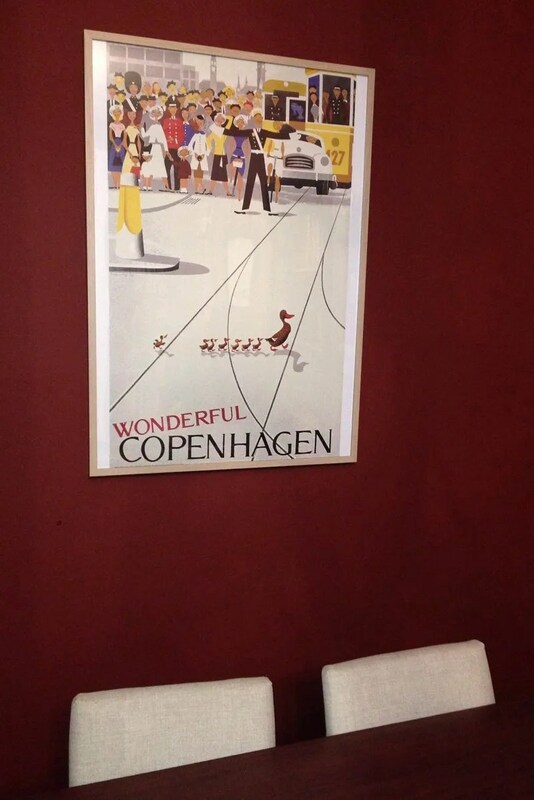 Apparently it’s a pretty famous poster in Denmark. Not too surprising because it’s awesome. But I love that it got even more famous because it accidentally won an international competition. In any case, it’s kind of big, and it doesn’t fit a standard frame size. I’ve held onto it for ages without actually putting it up because I couldn’t afford to get it professionally framed (it would have cost about £100) and I am past the point of putting up posters with tacks unless they’re in my closet. So there’s this giant Ribba frame at IKEA that’s alllmost right, which I know because I’ve got another poster in one. It’s just a bit too wide. But I was recently looking at my pictures from that first trip (yes, I totally took a picture of this poster on the wall) and noticed that the frame the hostel used to hang the poster as I originally saw it was ALSO a bit wide. And, IKEA being as wonderfully ubiquitous as it is, I can only assume they just decided to go with the cheap, easy option so they could get the thing up. This motivated me to do the same, style and class be damned. Now the imperfection of the frame reminds me of that trip just as much as the poster does. And it is FINALLY on my wall after a whole decade.